Is it only in my house that we never seem to eat all the bananas we get from the market? might as well whip up something. Makes the casa smell like my Lola's (grandma) house on the days my Aunt Dianette decides to bake. 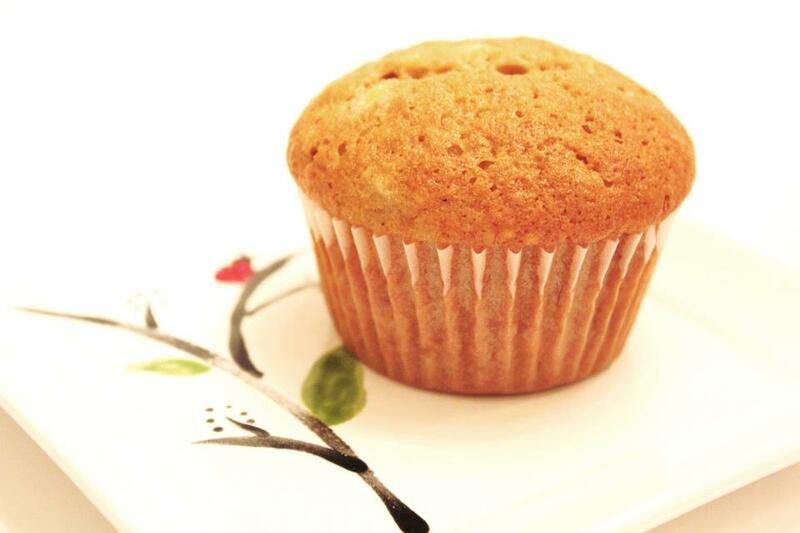 Line the cupcake pan with 21 paper liners or 18 muffin cups with paper liners. Beat the sugar, oil, eggs, and vanilla in a large bowl to blend. Stir in the banana. Add the dry ingredients and stir just until blended. Scoop the batter among the prepared muffin cups or pans. I find that using an ice cream scoop all muffins come out the same size. Bake the muffins on the middle rack until the tops are golden brown and tester inserted into the center comes out with no crumbs attached, about 25 minutes. 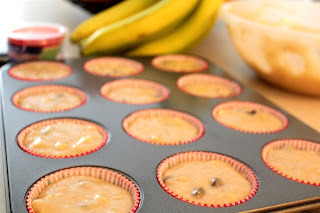 Transfer the muffins to a rack to cool. It's ready to eat, muffins can be eaten warm or cooled completely.